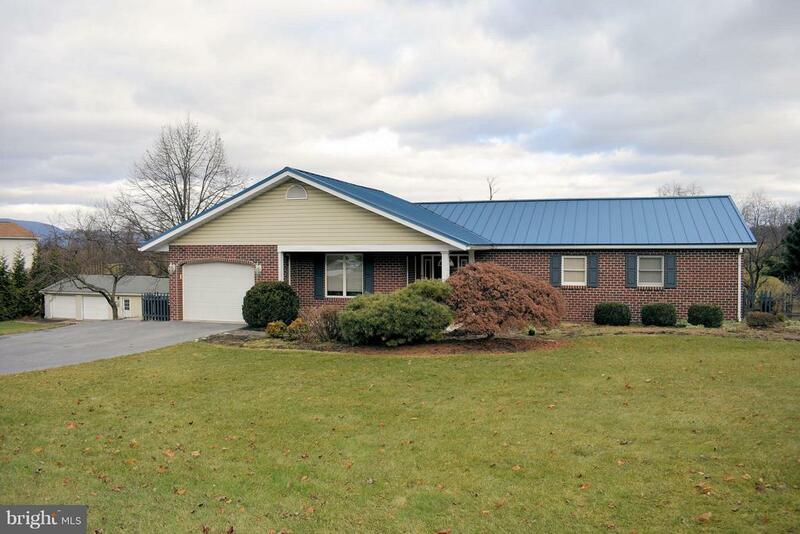 Totally updated home with new metal roof, new HVAC system and new maple hardwood flooring. Updated kitchen w/island and pantry. Main level laundry. 20x60 2 car garage w/heated workshop is on separate lot, additional taxes would be $526.92 per year. Home is approved for in-home business. Home backs to farm field with lovely views. Large wrap around deck. Home has 1 car attached garage. Lower level family room. Recently added addition has family room and dining room w/vaulted ceilings. Main level office/den. Spacious master bedroom and master bath with large walk in closet. Inclusions: Work tables, storage cabinets in shop to convey, .